Fall is in the air! Can you feel it? I know, I know, summers are short enough in Seattle, so why get excited about the beginnings of another dreary, cloudy, rainy, nine month long winter, right? Well, it just so happens that autumn is, to many photographers anyway, the most photogenic of the seasons. The bugs are gone, the heat and temperature inversions have moved on, and what’s left is fresh, clean air and, depending on where you are, some pretty amazing colors! New England is known for their fall color, of course, but they’re not the only ones with a show going on. 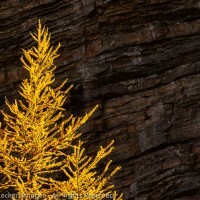 For example, have you ever seen a conifer turn a deep orange color and drop it’s needles in the fall? A deciduous conifer? Who ever heard of such a thing? Can they do that? 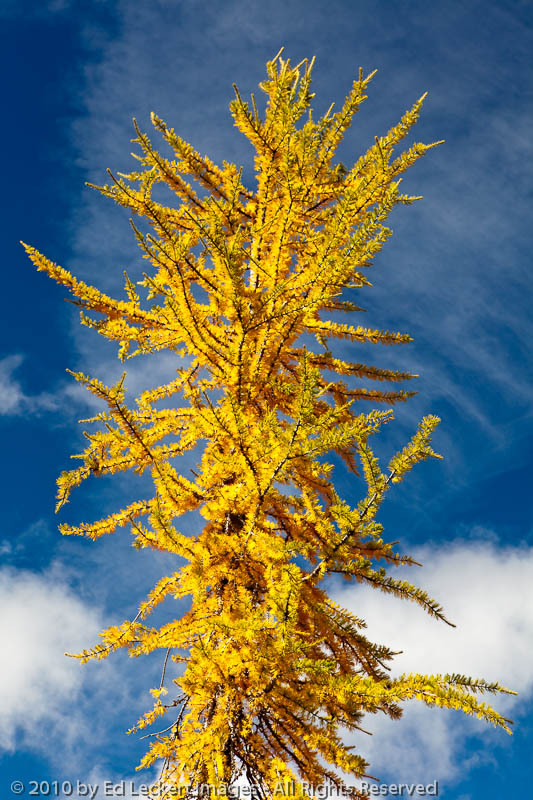 Well, they’re somewhat rare, but it turns out that we have one of the most colorful needle-dropping conifers right here in Washington State in the form of the Larch tree. Actually, we have two of them, the Western Larch (Larix occidentalis) and the Subalpine, or Alpine Larch (Larix lyallii). 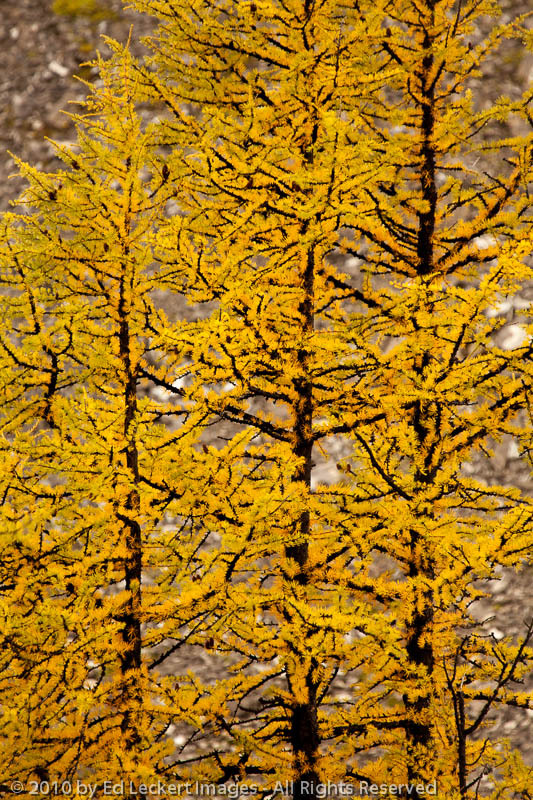 OK, the Western Larch I get – it’s a larch that grows in the West. No problem. But the other guy confuses me. Is it subalpine, meaning is grows below tree line, or is this tree alpine, meaning it grows above the tree line? 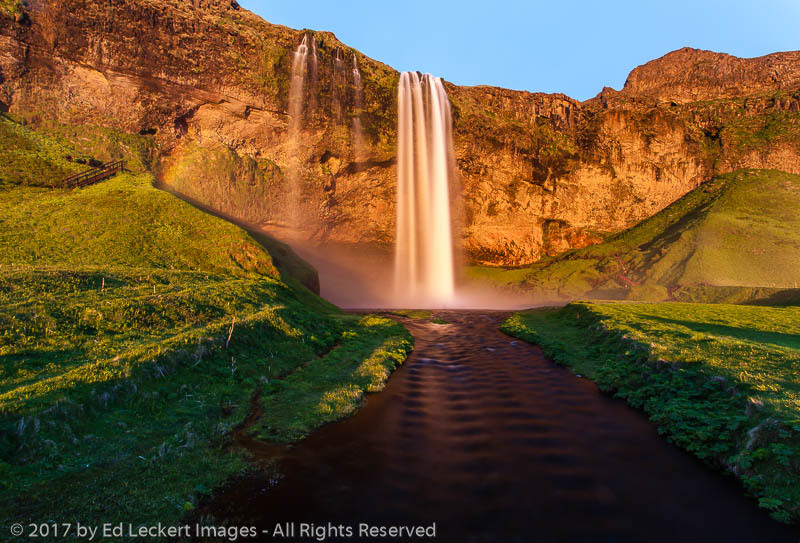 Now wait a minute – how can a tree grow above tree line? See what I mean? I know, more questions than answers. Well, it turns out that the Subalpine Larch likes to grow close to tree line, and the Western Larch, while it can get up just about as high, likes the lower altitudes a bit better. I suspect the Alpine vs. Subalpine Larch business comes more from linguistic laziness than altitude, but they do get up there a bit. In fact, you can find scraggly little Subalpine Larch trees hanging on for dear life in some rather cold and windy spots, like the little guy below on the Maple Pass Loop trail in the North Cascades. So where are these Larch trees and why haven’t you seen any in the parks in Seattle? According to a Wikipedia® article, about the lowest you’re going to find them is about 500m and, as I said, going all the way up to tree line, but even then they tend to stick together in known, somewhat hard to get to spots. One place that’s famous for them is The Enchantments, a difficult, permit-only backpack not too far from Leavenworth, Washington. 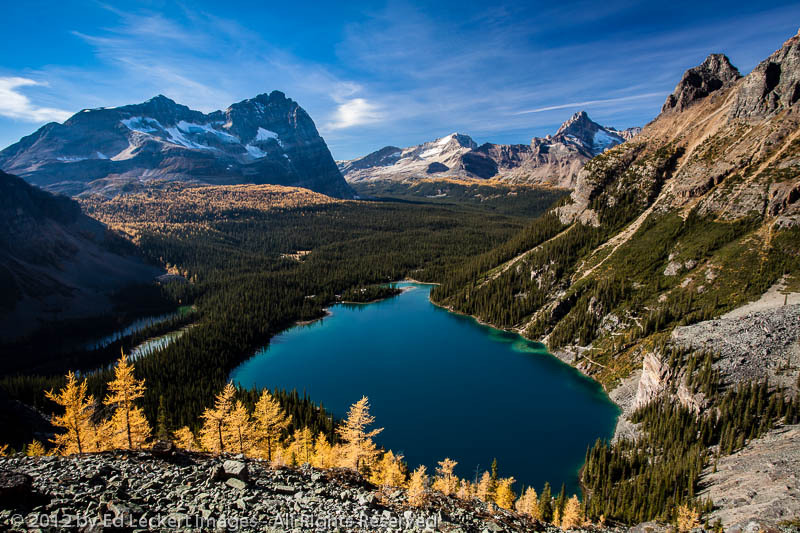 Another gorgeous area that’s full of larches is the Canadian Rockies, as in this image from Yoho National Park in British Columbia. I suppose you could find some larches growing close enough to the road in mountain passes to see them from the car, perhaps in the Rockies, but I don’t recall ever seeing any that way. 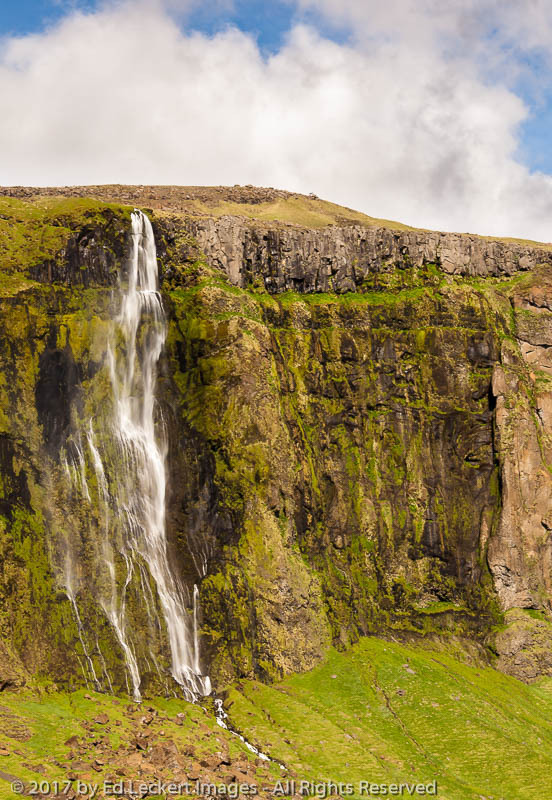 Nope, if you want to see these beauties in person, you’re going to have to work for it! 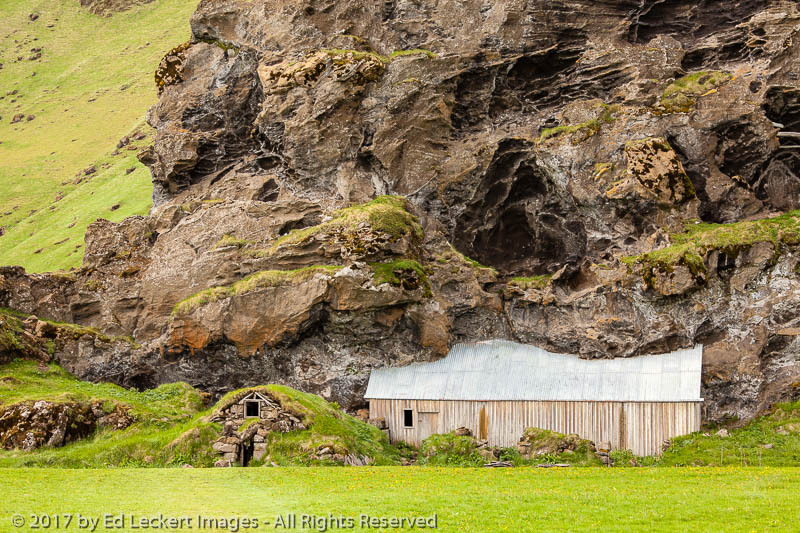 They’re hiding back in those valleys with those breathtaking, glacier fed, deep blue-green lakes. Yep, you’re going to have to sling on a pack for this one. But oh, is it ever worth it! Since you like Larch Trees, you should check out Scottish Lakes High Camp. scottishlakes.com It is at 5000 feet in the Chawaukum mountains and there are 11 lakes within day hiking distance from the camp and one is called Larch Lake. Check out the photo gallery page and click on the fall section. All these pictures are mine. I have better examples that I can send you that show the amazing fall colors that they get up there. The last week of September is usually very good for mountain huckleberry and mountain ash and the first two weeks of October are best for the larches. Thanks for the info, Max! Yes, Larch Lake has been on my list for quite some time, but I haven’t managed to get there yet. Workin’ on it! It looks gorgeous! That’s gorgeous, Martine! Thanks for posting! Great photo’s, these tree’s look like little jewels in the alpine forest. They are a fabulous sight! Thanks for showing me that we can have pretty fall colors even out here. It’s one of the few things that my native midwest does better, but this is not too shabby! Great pictures.